What does it mean and how is it computed? Each investor of a mutual fund becomes a shareholder or part-owner of the fund and receives a number of shares depending on the NAVPS (Net Asset Value Per Share) upon purchase, plus the front-end fees applied. What is Net Asset Value per Share (NAVPS)? In layman’s terms, this is the price per share of a mutual fund company. 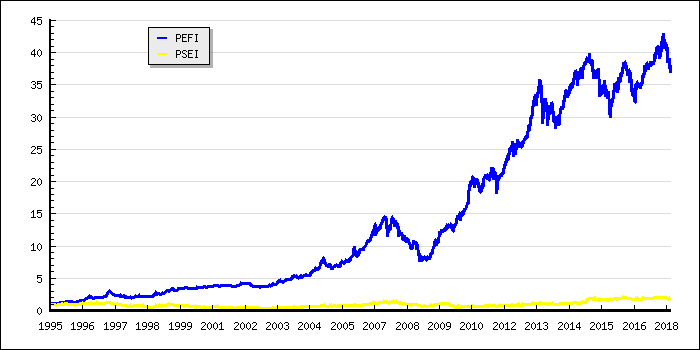 Each share is priced according to the fund’s Net Asset Value per Share (NAVPS). The value or price per share changes daily, depending on the performance of the whole investment mix. The NAVPS varies daily because of the market changes that affect the underlying securities in the mutual fund, and also of the expenses the fund incurs to continue with its operations. This price fluctuates based on the valuation of the securities held by the portfolio at the end of each business day, and this price is contrasted against the fund’s historical prices to evaluate its growth performance. The computation of the NAVPS is essential to a mutual fund’ s operation because it is the price at which shares are redeemed (this is a client’s basis to know how much an investor in getting when he redeems his shares) and the basis for computing the offering price. The NAVPS is also considered the book value, break-up value, or liquidation value of each fund’s shares. In other words, if a fund were to liquidate all of its assets, pay its liabilities, and distribute the net proceeds to its shareholders, a shareholder should receive an amount equivalent to or at least very close to the NAVPS for each share that the investor owns in the fund. Technically speaking, it’s like closing the books every end of the day and knowing the value of the fund. This price is determined by the total value its net assets (total assets minus total liabilities) in the fund, divided by the number of shares outstanding. The historical NAVPS is also used as a tracking tool to monitor the fund’s growth and performance over the years since its inception. The fund’s NAVPS is posted the next day in local newspapers, company website, or social media pages for the investors to see. Learn more about mutual funds here. This article also appeared on the Rampver Financials’ official Medium Publication, Rampver Reads.